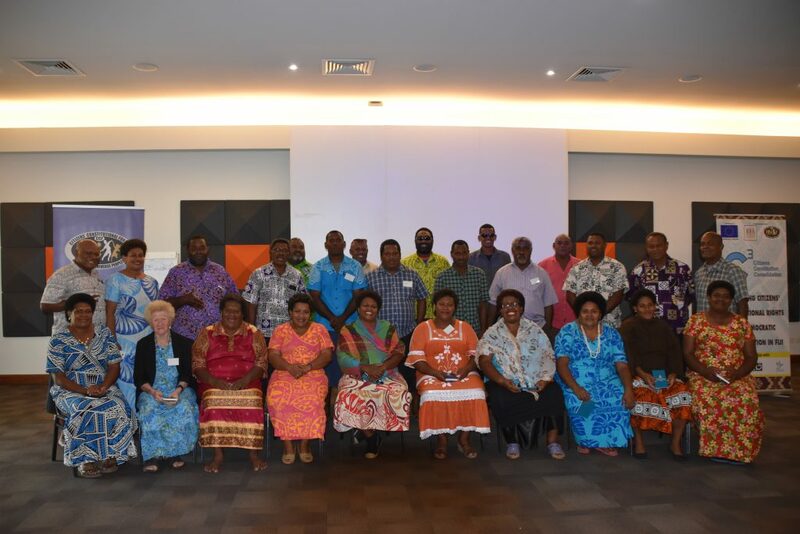 The Citizens’ Constitutional Forum (CCF) facilitated a 2 day community education workshop at the Pearl Resort conference room, which was made possible through the Citizens- Constitution- Consolidation (C3 – Fiji Project), a project that is funded by the European Union. The workshop was attended by a group of villagers from the province of Serua, provided the a chance for the participants to build on their knowledge of human rights; understand how they can contribute to their communinty through a rights based approach to development, and how get their village development plans to elected representatives (Government). We have been enlightened with the knowledge that has been imparted to us from the representatives of government institutions and CCF says Jiuta Gonekorolevu of Vunibau village. “I can say that we have been enlightened about what an article of human rights actually contains, compared to the misinterpretations and hearsay that we’ve received within our village”, said Mr Gonekorolevu. “Rights based approach development is one key aspect we take back to our communities, as it is important that the opinion of every member of our village is heard during our meetings “, said Mr Gonekorolevu. The participants who travelled as far as Vunibau, Sauniveiuto, Sadro and Draunikula village went through activities that gave them an understanding of the importance of human rights and how to work with government institutions in acquiring development that would provide them economic and social rights such as the right to education and health. Diveni Qarikau of Vunibau village welcomes development for her village, but advised that they must also take care of the environment. “One thing I don’t see now days in my villages is the replanting of native trees,” said the 60 year old. Diveni Qarikau says a tree planting program should be implemented. “This must be done if we are to live in a healthy environment,” she said. 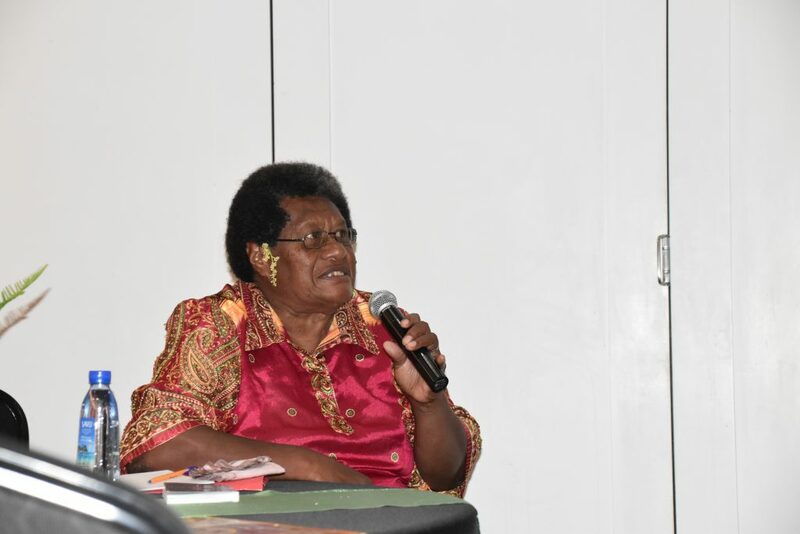 Meanwhile, villagers must follow the proper channels if they want their village development plans included in the next national budget, says Citizens’ Constitutional Forum (CCF) – Community Program Facilitator, Seavania Tuicau. Mr Tuicau told participants that village development plans must go through the Serua Provincial Office (SPO). 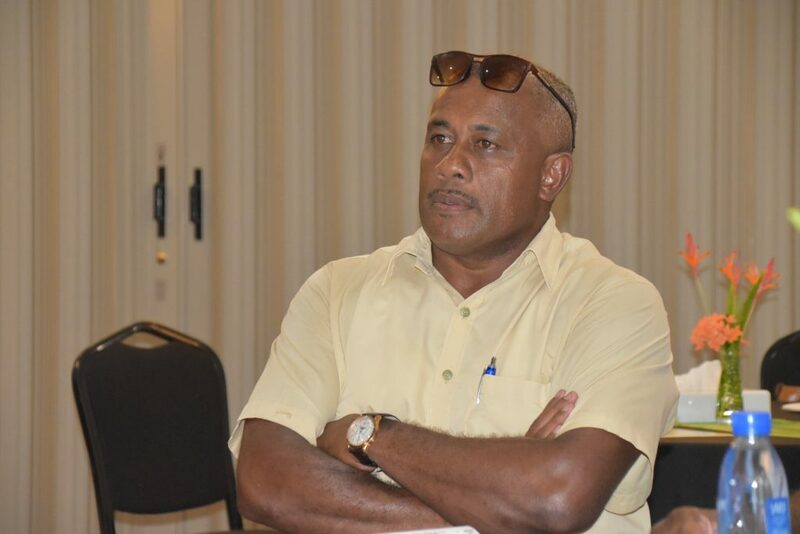 “There is a misconception that if village plans and grievances are taken directly to elected representatives (government), their issues would be sorted straight away”, said Mr Tuicau. “There are proper channels that you have to follow in order to get your village development plans through to elected representatives”, added Mr Tuicau. Provincial Administrator for the Province of Serua,Inoke Tagicakibau, said there have been instances where villagers have gone directly to the Prime Minister’s Office (PMO) to voice their concerns and verbally inform the PMO of their village development plans. “The PMO refers these cases back to us at the Serua Provincial Office (SPO) to follow up on the requests for development purposes. The SPO is the starting point of getting your vision off the ground”, said Mr Tagicakibau. “Proper planning and consultation must be made in your village meetings before these proposals are brought forward to us”, said Mr Tagicakibau. The workshop that was carried out under the C3 project is aimed towards increasing participants understanding of their constitutional rights and facilitate engagement with state institutions and elected representatives. 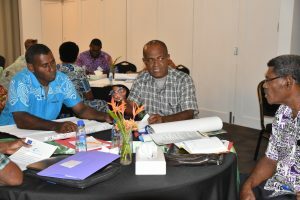 There are four co-implementers of the C3-Fiji Project: Citizens Constitutional Forum (CCF), Dialogue Fiji (DF), Media Watch Group (MWG), and Pacific Centre for Peacebuilding (PCP).